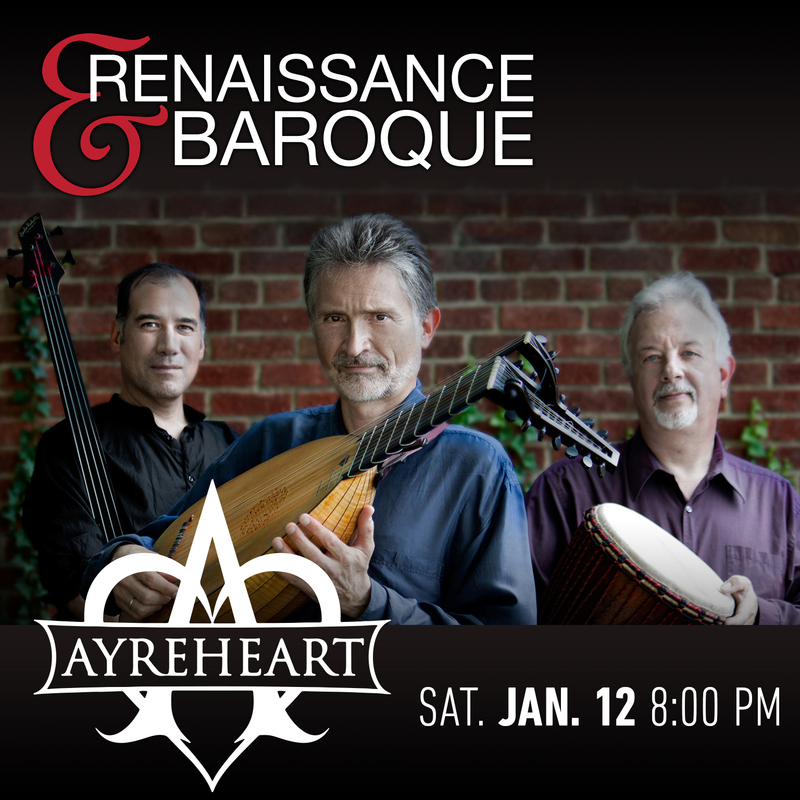 GRAMMY-nominated lutenist Ronn McFarlane founded Ayreheart in 2010 out of the desire to write new music for the lute—the most popular instrument of the Renaissance—and make it accessible to a wider audience. 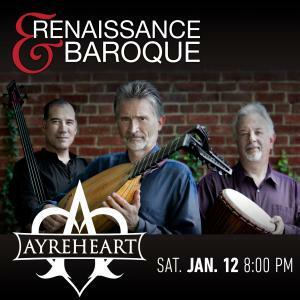 Joined by versatile musicians Willard Morris and Mattias Rucht, the original music of Ayreheart reflects elements of Celtic, Folk, Bluegrass, and Renaissance music. In the pre-concert talk, Ronn McFarlane will trace the origins of the lute and its 800-year history from the Middle Ages through the Renaissance and Baroque up to the present day. With musical examples, the evolution of the lute will be explained, as it reflected changing musical tastes over the centuries. Mr. McFarlane will clarify the lute’s place in Renaissance society, and its meaning and symbolism through the ages. Finally, he will make the case for the inclusion of the lute as a contemporary instrument in the 21st century. Synod Hall 125 N. Craig St.